We celebrate the life of our beloved NYTWA Executive Committee Member Beresford B. Simmons who passed away on July 7, 2018. Mentor. Comrade. Son of Jamaica. Tireless Soldier. He could do it all. A Renaissance Man. A musician, radio show host, activist since his youth in Kingston, and taxi driver of 50 years, Beres led with love, humility, endless charm, selfless devotion and so much brilliance. Beres was affectionately known to some as Rasta, some called him Habana, and many, the King of Kennedy (JFK). He would tell us stories about playing soccer with Bob Marley as a child and guarding security at anti-colonial political rallies since he was a teenager. He was devoted to Black Power. Beresford Simmons was a man of the world, but he chose us, his driver brothers and sisters. He never once missed a trip to Albany - even after driving two days straight and even after starting kidney dialysis for three days a week - or a TLC or City Council public hearing, or sit downs with elected officials, or general membership meetings, or demonstrations. Just days before he passed away - less than a week after leaving the hospital - he gave his whole day to meetings with Council Members for our current campaign. That big, booming voice full of brilliant five-decades-on-the-streets knowledge, and a sharp-as-a-blade political acumen - he could read a room better than any of us. And Beres was such a gifted speaker - in a room full of the powerful, on a public stage, in front of a TV camera or over the radio. He made your heart sink and your mind soar for the possibilities for drivers. Beres was one of the most visible Spokespersons for TWA, giving over one hundred interviews throughout these past ten years. And every minute he gave was volunteered. Beres was there when the livery, black car and greencab sectors were first commissioned by the city and state. He bore witness to history but never stood idly by. Beres was also a founding member of the landmark Minutemen co-op, borne after workers took over a bankrupt business and made it recover. Before the city required the purchase of wheelchair-accessible vehicles, Beresford hacked one up to an unrestricted medallion. He was one of the first owners of a WAV taxi in NYC and remained vigilant and devoted to accessible service. He was equally devoted to his Jamaica in Queens and his homeland. He organized fundraisers to sponsor schools and scholarships since his first days in the states, and entertained dignitaries, musicians, activists from Jamaica till his last days. In all that he did, Beresford Simmons held such a deep sense of community and honor. For whatever reason he was needed, he never failed. We learned from Beres. We leaned on Beres. In every step Beresford took with us, he made us feel like we were the world - his world - because he loved so deeply and gave so much as a comrade, teacher and friend. For Beres though, his world was his beautiful wife Sheila, with whom he shared 52 years of love and life, raising five children and seven grandchildren. There are not enough words to express the depth of either our loss or our gratitude. If ever you met him, you would understand. There is no one like Beres. So kind and so honorable. Beresford Simmons lived life the way we are told to in the grace of God but often fail. He triumphed over every tragedy and obstacle and he gave more to life than he ever took. God speed, our big brother. We love you so much. It is with the heaviest of hearts that we announced the passing of our great friend, Kevin Michael Fitzpatrick, on June 4th, 2007. Brilliant, bold, uncompromising, tireless, irreverent, loving, lively, loyal, kind, a truest working class intellectual was our beloved comrade Kevin. 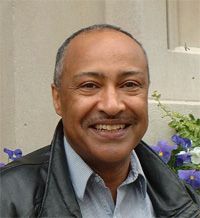 A veteran of over 30 years in the taxi industry, Kevin served as an Organizing Committee Member of the New York Taxi Workers Alliance since 1998. Kevin fought without fears or concessions for the right to work with dignity in the industry he called a mobile sweatshop. In every corner of our office, in city public hearing rooms, in the walkways of garages and along the gates of airport taxi lots, we see Kevin. We hear his hearty, warm, kind, kind laughter. We remember his unrelenting quest for the next conversationalist, the next street corner prophet to talk shop and politics, politics and shop. In every campaign, Kevin Michael Fitzpatrick was a critical player—he strategized until 4 in the morning and came back by 8 to start off mailings, outreach drives, phone calls, and newsletters. If we needed to understand the history of anything, really ... politics, military, language, literature, capital, labor, the movements of peoples ... we turned to no where other than Kevin. Our friend saw the bigness of the world and nourished it in the palm of his hands. He nourished facts, figures, and moments in history across time and borders as if they were dear friends. Kevin's genius held an indescribable beauty and awe. Kevin Fitzpatrick was, above all, a devoted organizer. If a member was injured on the job, assaulted, harassed, wrongly suspended, or unjustly fired by a taxi boss, Kevin was ready, front and center, to defend the people he loved above all -- taxi brothers and sisters. Kevin’s lasting legacy will be his contributions to the formation of the International Taxi Workers Alliance. Body tiring from a long battle with cancer, he persevered with insight, patience, humor and vision. During the ITWA’s historic founding conference in March 2007, our friend Kevin was the Brooklyn sunshine in a New York spring. Voice booming, body leaned back, eyes twinkling with knowledge, boldness, sarcasm, and that laughter of a thousand victories won, debates conquered, hope fulfilled. Kevin was in Kevin form. His final days were lived as he had lived all of his life. Illness, fatigue, and chemotherapy never swayed his sharp focus or relentless resolve. May you be, beloved Kevin, where the poet meets the scientist to talk revolution. We celebrate the life and contributions of our fallen friend, Yilma Wolde-Mariam, who passed away on Saturday, August 26, 2007. Yilma was a man of pure brilliance. He was generous with his time, thought, compassion and company. Without compromise or doubt, he served the rights of the working class and poor, championing for a better world. Yilma was a voracious reader who graciously shared all that he read and all that he learned. He treated everyone with respect and understanding and allowed nothing less than joy and laughter in the eyes of those he loved. For five years, Yilma served on the Organizing Committee of the New York Taxi Workers Alliance. After tiresome 12-hour shifts, he devoted his time and attention to the struggle of the world’s taxi drivers. He advanced our cause at meetings with city officials, in television, radio and print interviews and in the halls of colleges. He spent weekends with taxi drivers at airport lots, at hotel lines, at restaurants and, several times a week, at the union office. He volunteered at health fairs and legal aid clinics. Yilma was a champion of the oppressed and the exploited, a relentless critic of globalization, institutionalized racism and the poisons of imperialism. He never flinched from the ugliness of oppression; was never swayed by the hardships of struggle; never discounted the beauty of resistance. Yilma was deeply ideological, but used science and fact to win the other side, never dogma or jargon. He would read Shakespeare one day and the mechanics of aerospace the next. He saw the poetry of science and the science of poetry. Our friend Yilma brought us laughter and enlightenment whenever he called, visited, or corresponded. In an organization of workers from over 120 countries, Yilma Wolde-Mariam took the time and interest to study the culture, politics, economy, science, and religion of every corner of the globe. Son of Ethiopia, Father of Mikhail, Citizen of the world. Yilma Wolde-Mariam embodied internationalism. His spirit embraced life. Knowledge, debate, reflection brought him joy. Our friend Yilma was a most gifted intellectual; a most gifted word-smith. Yilma Wolde-Mariam could outdebate anybody. But he never lost his humility, his patience, his joy to learn. For seven years, Yilma served our union, gave us his friendship and brought us hope and courage in our day to day life and moment to moment struggle. At just 50, Yilma Wolde-Mariam left us much too young.